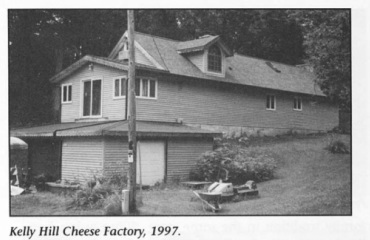 Notes: Used Kaestner-Henze Cheese Warehouse as wholesale distributor. April 20, 1945 letter from War Food Administration acknowledging the receipt of the cheese factory's reply to a solution to "overproduction of restricted cheese" - War Food Order 92, saying “they will make cheddar in the second quarter”. Biennial report of the Dairy and Food Commissioner of WI: also spelled Kelley Hill. 1906 Mt. Vernon PO, in Springdale, 8mi SW of Vernon. Carl Messerschmi, mgr. Mt. Vernon PO 1906; Mt. Horeb 1913, 1916, RD 6 1909, 1922 as Kelley Hill; Riley PO 1930. 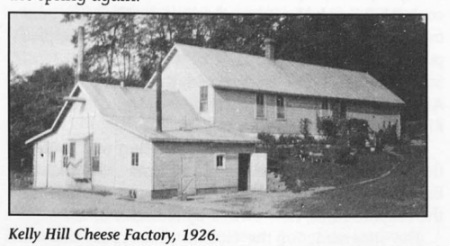 A factory was located on Kollath Rd. (Plat map image 1911) which now appears to be an extension of Kelly Hill Rd.